The American Dental Association recommends brushing at least twice a day. In addition to brushing, the ADA also recommends flossing at least once a day. While you may have read that flossing may not be necessary, it is a critical component of maintaining optimal oral hygiene. Like brushing, however, the way in which you floss makes a huge difference. 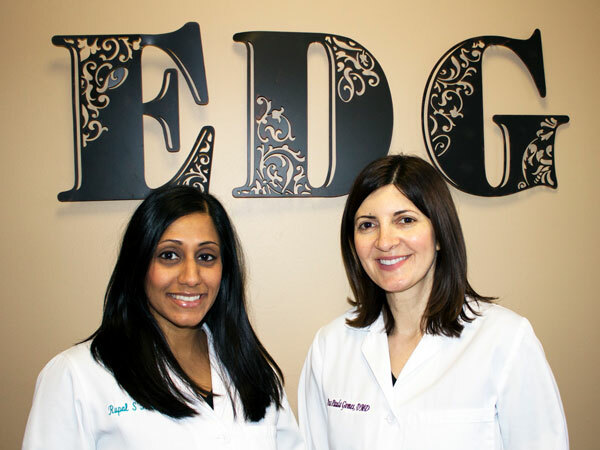 The Elmwood Dental Group LLC is here to help. Flossing at least once a day is a crucial part of your oral hygiene routine. While brushing helps to eliminate plaque, bacteria, and other debris from most surfaces of your teeth, the bristles of your toothbrush cannot reach the spaces between your teeth. Without flossing, plaque and bacteria can continue to accumulate between your teeth. This can lead to cavities between your teeth as well as gum disease, even if you brush properly. Learn more about why flossing matters. How Do I Floss Correctly? Just like with brushing, there is a proper way to floss. First, take about 18 inches of floss and wrap it around your middle fingers, leaving about a 2-inch space. Slide the floss gently back and forth to work it between your teeth. Curve the floss around the side of each tooth, gently working the floss up and down. Make sure that you go just below the gum line, but take care not to snap or force the floss against the sensitive tissue. Snapping the floss against your gums can lead to irritation and inflammation. This action can also cause your gums to bleed, which can let bacteria into your gums. Use a clean section of floss for each space between your teeth. Do not forget to floss behind the backs of your last teeth as well. • Nylon. Nylon, or multifilament, floss is made up of several strands of nylon. • PTFE. This is a monofilament floss or a single strand. This type of floss is less likely to shred. • Waxed. Some flosses come with a wax coating that can make them easier to slide between your teeth. • Unwaxed. This type of floss can often fit into tighter spaces than waxed floss. • Flavored vs. unflavored floss. Some flosses are available in flavors such as mint or cinnamon. They can help to provide a fresher feeling in your mouth. • Dental tape. Dental tape is wider than traditional floss. It is available in both waxed and unwaxed varieties and can be beneficial for individuals with wider spaces between their teeth. • Super floss. Made from a yarn-like material, this floss has stiffer sections that can be ideal for patients with braces or dental restorations like crowns and bridges. • Floss picks. Floss picks are small, pre-threaded flossing tools. They are a good option for those who lack the manual dexterity for traditional floss as well as for those flossing on the go. 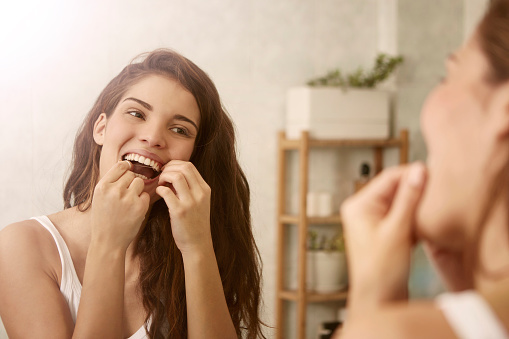 Regular flossing helps to eliminate plaque, bacteria, and other debris from in between your teeth, where your toothbrush would otherwise be unable to reach, helping to lower your risk for cavities and gum disease. If you have any questions regarding proper flossing, call The Elmwood Dental Group LLC at (860) 331-8748 for more information today.